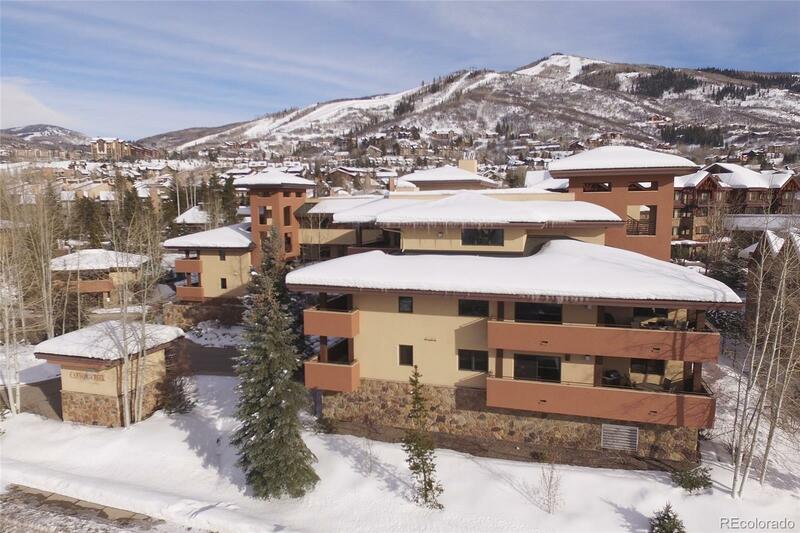 Located on the corner of the building, this first-floor condominium is private with extraordinary natural light and ski mountain views. Sitting just 1 block to the resort mountain base, this walk-to-ski property provides an incredible blend of service and amenities. Owners and guests enjoy winter shuttle transportation, outdoor heated pool and hot tub, fitness room, heated garage and ski lockers, heated walkways & driveway and on-site front desk. This unit comes outfitted with modern granite counters throughout both the kitchen and bathroom vanities. A cut-out ceiling above the living room provides a spacious feel while the stone masonry gas fireplace lends a touch of warmth. Sold furnished, this residence is turn-key and move-in ready with several years of rental income history. A large walkout covered patio gives you plenty of outdoor living space to enjoy the beauty of the surrounding mountains and fresh Colorado air.